It’s rare that we make pastries at Casa Greedy Girl. The sad truth is, we enjoy them far too much and having a freshly-baked batch in the kitchen is just too tempting. Greedy Girl just can’t stop at one! As such, we usually only indulge in pastries when we travel to Singapore and stay at our favourite haunt, Royal Plaza on Scotts. There, the lovely team in the Royal Club lounge keeps a couple of cinnamon pastries aside for us each day from the breakfast buffet. Sometime in the late morning we wander back into the lounge for a very good coffee and some warmed pastries. Delish! One day at home though, Greedy Girl was hankering for a fix. It prompted her to ask gluttonous husband if he would make some. 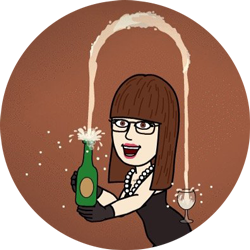 This took my beloved personal chef out of his comfort zone – for a number of reasons. First was trying to come up with a finished product that didn’t have as much sugar as usual (neither of us being fond of overly sweet foods) and overcome his fear of working with yeast. Cobbled together from a number of recipes, we came up with this. 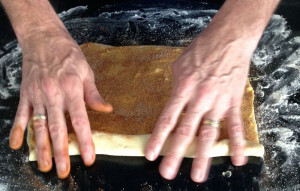 Of course, if you like, you can add more filling and drizzle an icing or a glaze over the top. We prefer them just like this – they’re quite light, still with a lovely hit from the cinnamon and the aromas are wonderful. Enjoy! Of course, if you don’t want to bake as big a batch, you can halve the dough after its first proving and put it in the freezer for use another time. Warm the milk in a small saucepan so that it’s lukewarm. Remove from the heat, sprinkle the yeast over the top and whisk briefly to disperse. Whisk in sugar and leave the mixture for three minutes before adding melted butter. Stir to combine. Mix flour and salt in a large bowl and make a well. Add milk and butter mixture and stir to just combine. 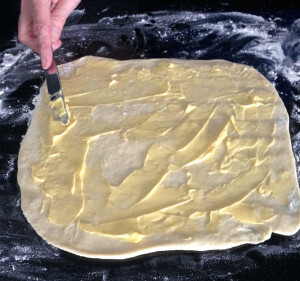 Tip out the dough onto a lightfly floured surface and knead until smooth. It’s now time for the first proving – put it in a large, lightly oiled container, cover with a clean cloth and leave it to rise somewhere warm until it’s almost doubled in size. This can take around an hour. 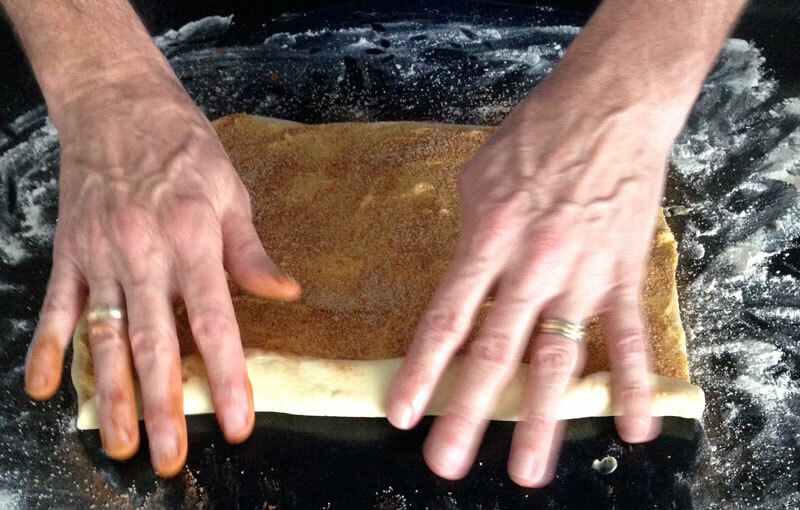 After this step you can freeze half your dough, if you don’t want to make up the full recipe. If you’re intending to do that, you’ll need to cut down the ingredients for the filling accordingly. 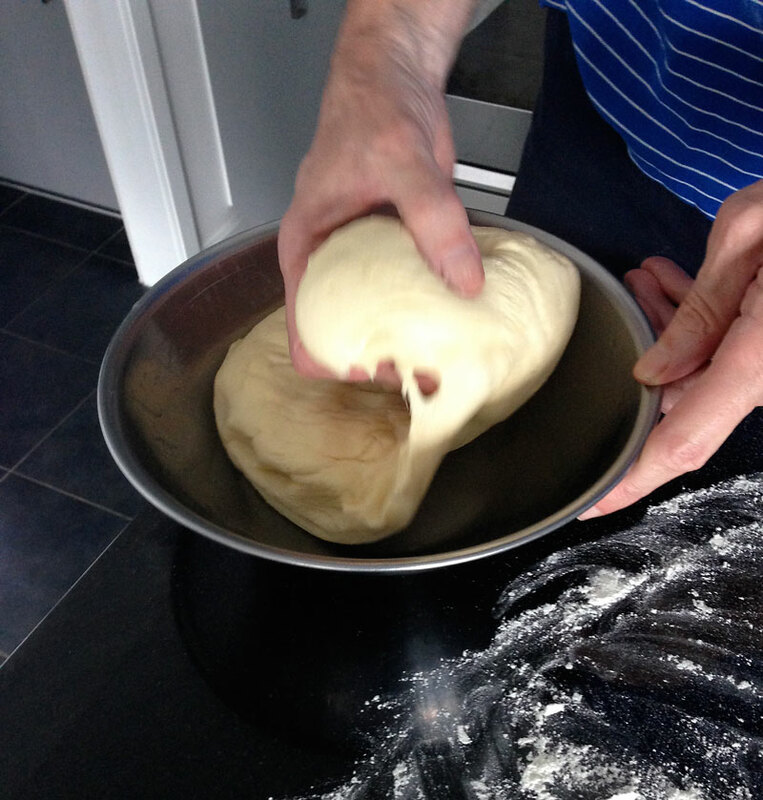 You can keep half the dough for another time, just freeze what you don’t use. Roll out your dough into a rectangular shape on a floured board or surface. 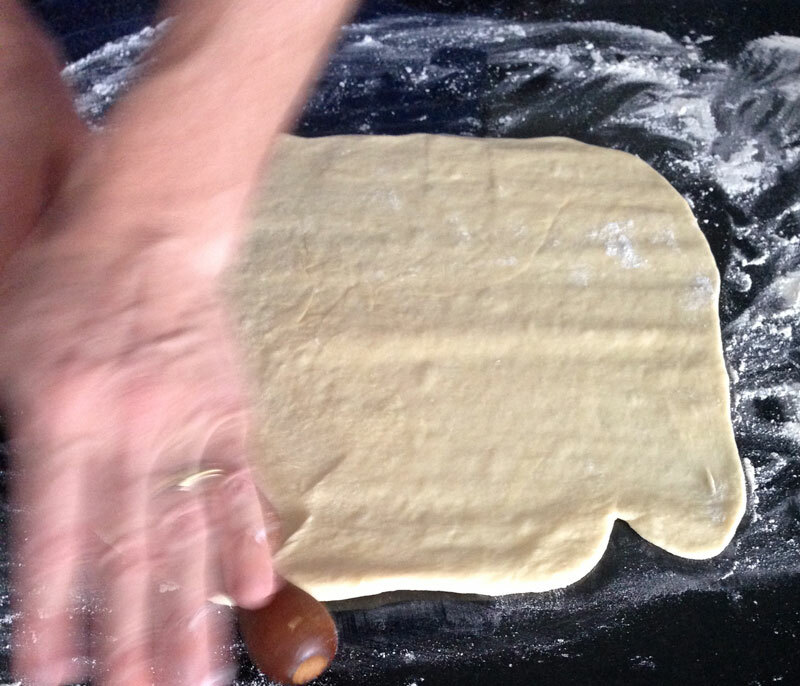 Our kitchen benchtop is granite, so it works well for pastry. Once you’ve got the shape right (and you can trim the pastry if you want it to be perfect), it’s time to brush the softened butter over the top. Do this generously. 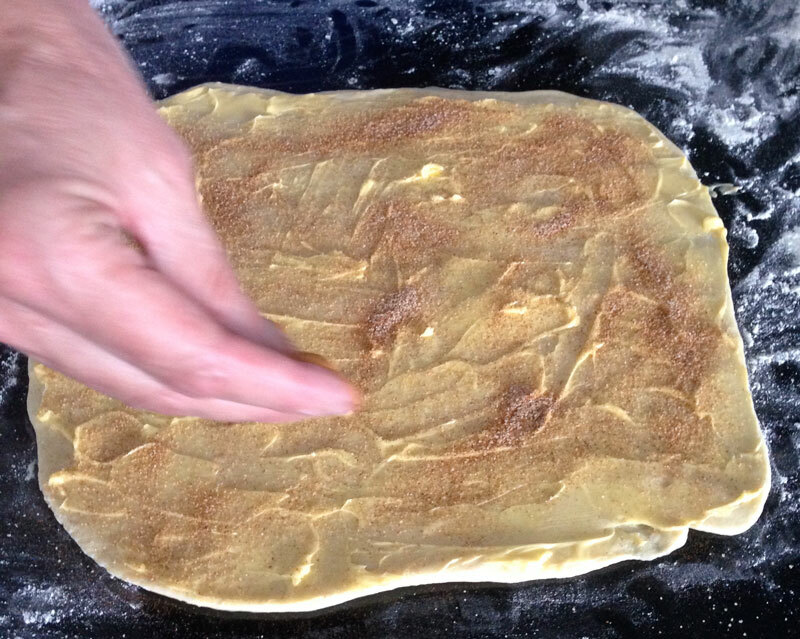 The sugar and cinnamon gets mixed together and then sprinkled over the top. 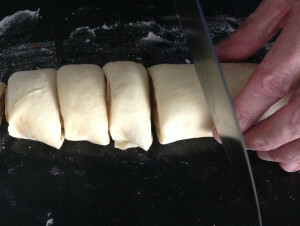 Roll the dough tightly along the longest side, into a cylinder shape. Then you cut into slices – we prefer around 2cm wide. Then, line a cake tin with baking paper and place the scrolls in, allowing room between each one for them to expand. It’s time to prove the dough again – cover the tin with a clean tea towel and leave in a warm place for 20 minutes. Don’t put them somewhere hot – the butter will melt and ooze. 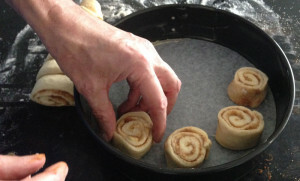 While the scrolls are rising, preheat your oven to 180 degrees (celsius) and bake them for around 15 minutes until golden. The buns are beautiful fresh from the oven with a cup of hot tea or coffee. Of course, you can glaze them if you wish, or perhaps even dust them with icing sugar. We like them just the way they are!